I'm an Uber Driver Partner and very excited to work with Uber. My target users are Uber Driver Partners. I enjoy engaging the Driver Partner community and wanted to use my skill-set to help keep Drivers engaged since we are an important part of the process. I'm most proud of the increased engagement from community members with the application. Every Uber Driver-Partners' Analytics Platform. Business/Technology entrepreneur. Virtual currency enthusiast. Web developer. Detroit native. All around good guy. Hi, all. I haven't posted here in awhile - a lots been happening. Still receiving love from Driver-Partners with the app and in the middle of it all, I had the birth of my daughter, so I've been pretty busy. We've done a major update to the landing page (today) and I've consolidated to the following markets: Washington DC, Los Angeles, San Francisco, Chicago, Miami, Atlanta, and Austin. Since this Hackathon is now closed, please visit us at www.WhereMySurgeApp.com, follow us on Twitter (updated most frequently) or blog.wheremysurgeapp.com. I didn't win anything through this Hackathon, but it's been extraordinarily fulfilling being able to help increase the income of Driver-Partners globally. Thanks again for your support on this journey! What up, all. We're testing now so it'll be Tuesday for the site update. Keep spreading the love (http://www.100shiki.com/archives/2015/06/wheremysurgeapp.html) - keep it up. Thanks! 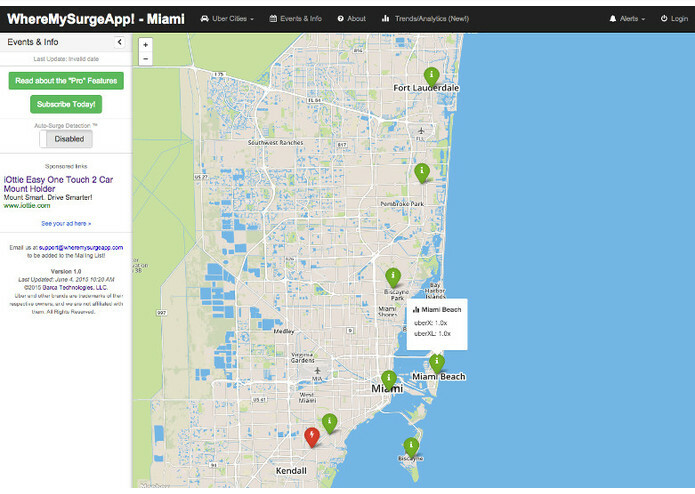 Ok guys; I’ve updated with a couple of snapshots of new cities; the system and services can now accommodate Uber Driver-Partners’ wherever they may be around the world. 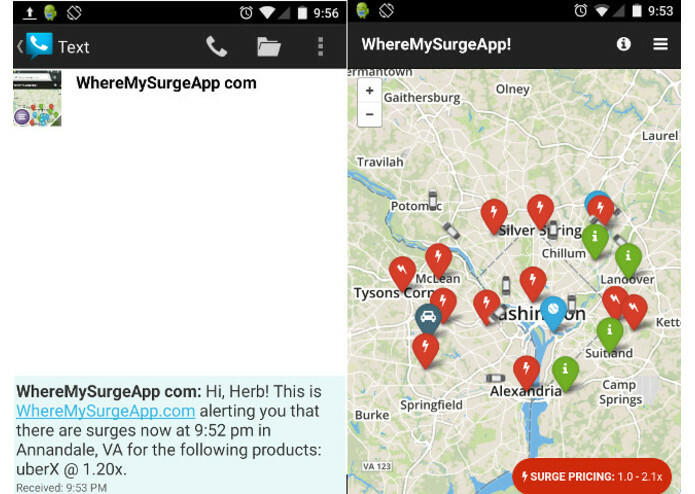 I’ll update the landing page - please continue sending feedback to support@wheremysurgeapp.com; thanks! Update: We’re moving at breakneck pace over here; the Driver community isn’t letting me rest on this one. I’ll have update next week and an updated page. "Man-#Uber-ing": to position yourself in the best place for a surge: "I'm 'bout to 'manuber' right over here for a minute and get my surge on!" We've had overwhelming success with the platform - we're adding about a dozen new cities (internationally, too) which were requested. 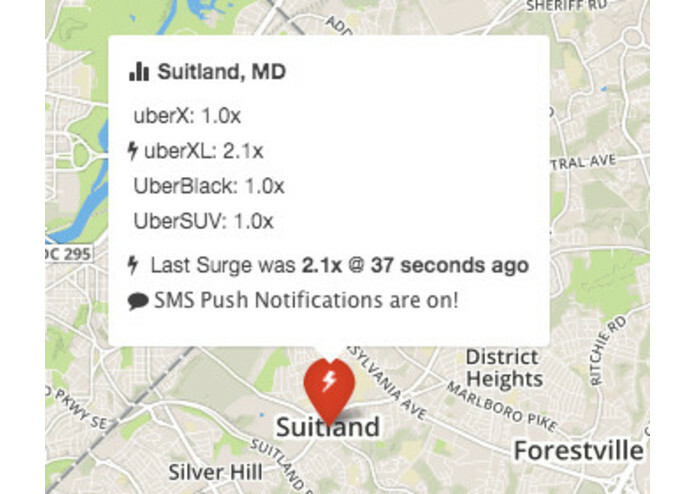 I’ve setup a landing page now at www.wheremysurgeapp.com for you to add your email, desired city, state/country and any comments - what is it that you want to see in a platform for Driver-Partners? (We doin' it FUBU style - you know!). Tell us and leave your email so we can follow up. We'll have new updates by Wednesday (June 3rd) or so. Remember to follow us on Twitter at @WhereMySurgeApp, Like us on Facebook: https://www.facebook.com/WhereMySurgeApp, and upvote us on Product Hunt too: http://www.producthunt.com/posts/wheremysurgeapp. For those of you whose money is burning a hole in your pocket, hit us up on AngelList: https://angel.co/wheremysurgeapp. Ok - that’s it. Gotta go man-#uber-ing for some airport runs. 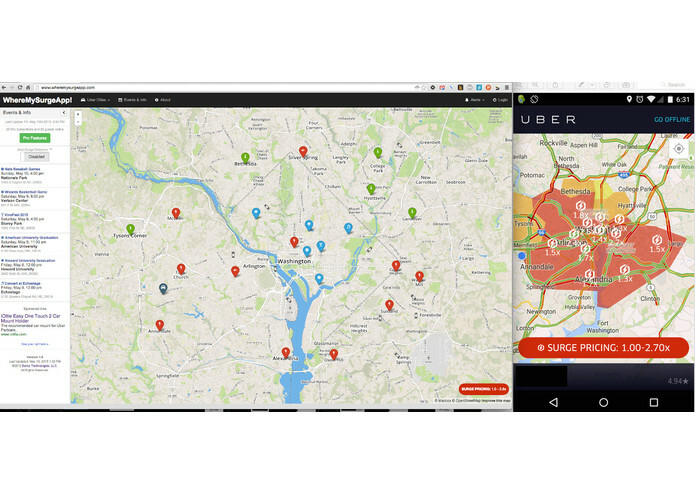 "Is it possible that by getting more drivers to potential surge locations, you'll lower the % of the surge pricing for users? I see a potential win-win." It’s off to the races - demand has escaped from the Driver-Partner community to the general public. 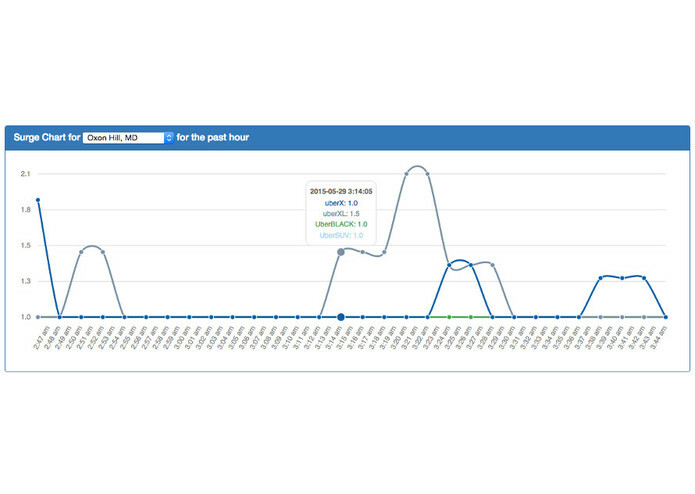 We’ve created a new category "#SDaaS - Surge Demand as a Service”. We’re featured on ProductHunt and Twitter - I’m getting about a dozen people a second through the server but we’re all good (a lot of the pre-work I performed is working). It’s been quiet here on ChallengePost, but for the few that may be paying attention, I appreciate your support. I began a few weeks ago as a Driver-Partner and simply wanted to help my peers and myself make better decisions in a positive fashion without having to game the Uber system. I believed using technology as a tool could help achieve that goal - it did. The DP community wanted about two things: 1) someone listening to them and 2) something to address their concerns. Working with Partners locally and around the world we’ve been able to align towards an outcome that works better for us and the company. 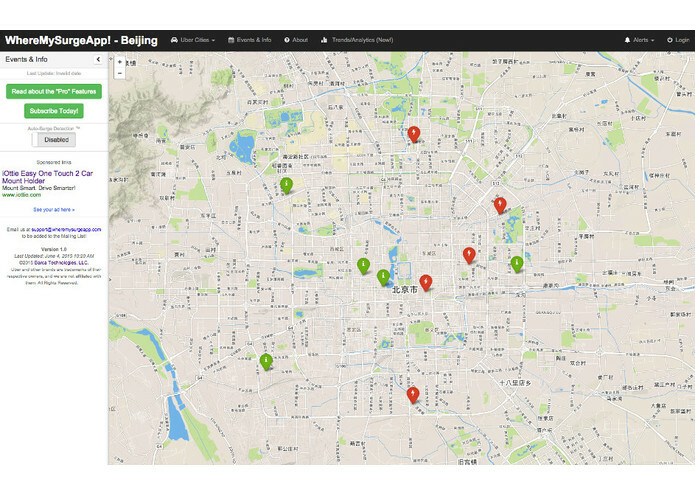 Received great deal of feedback on cities - will be integrating it over the next week. I'm working to consolidate multiple channels, so you can email us at support@wheremysurgeapp.com or follow us on @WhereMySurgeApp for new updates. Ok, everyone - I've updated SMS push notifications: http://screencast.com/t/PjtUD5eBBi The way Partners have been using it is that it alerts them to their "area of interest" and then they proceed with their strategy; after I integrate charts, I'll make it more granular and integrate with event data ("Oxon Hill, MD near Livingston and Bock Rd - X event occuring."). 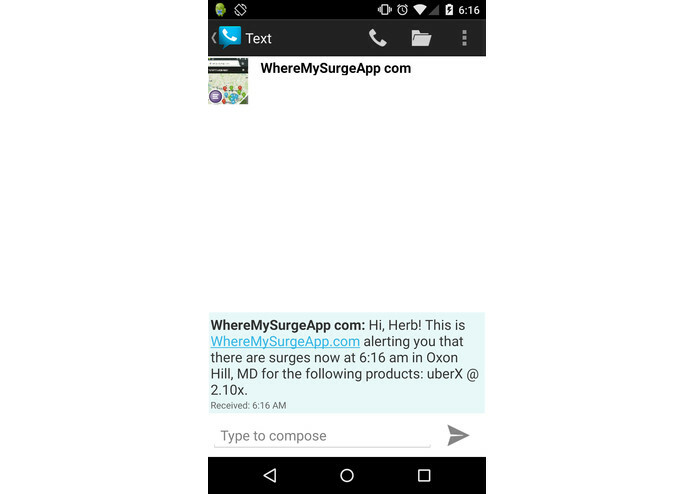 I'll also post updates on @WhereMySurgeApp on Twitter, as well. 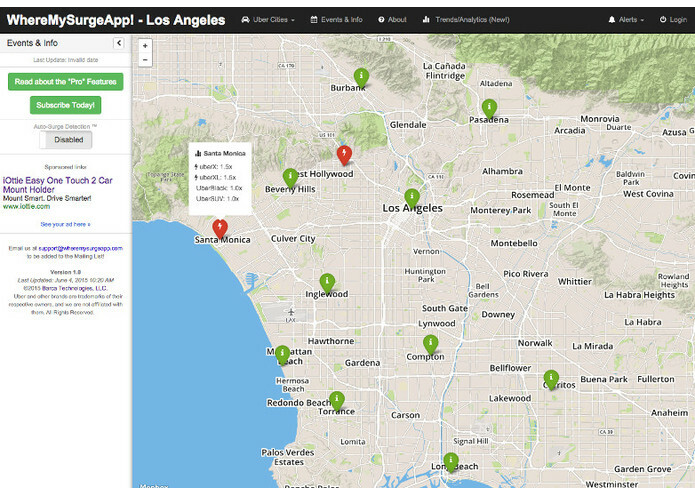 Look for the additional cities and other feature requests to be added next week! Follow us at @WhereMySurgeApp on Twitter, also! 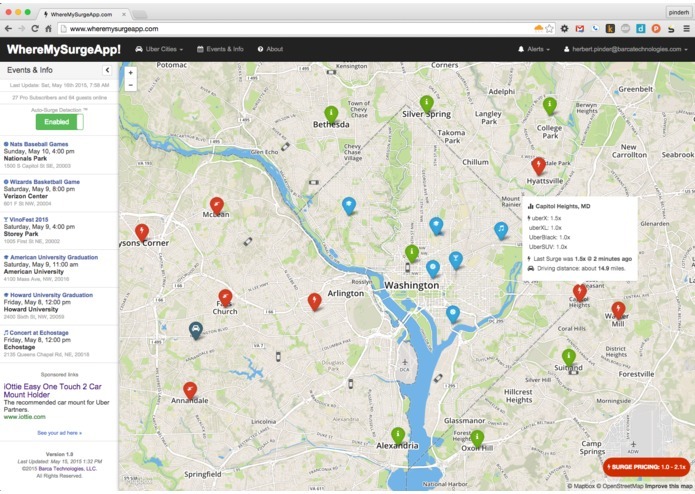 I appreciate all of the love I'm getting for WMSApp - I'll add the new cities soon; we have some great new features coming. Look for weekly updates and keep the feedback coming! What's up, all. I'm updating my firewall now, so the wheremysurgeapp.com link will simply redirect to my personal page momentarily. I'll post an update when it's live again - thanks!